In the very heart of Užupis, there is a restaurant just as exceptional and alluring as the Užupis itself — Sweet Root. It may be presented as the pioneer of the local cuisine, but you will not find any traces of cliched Lithuanian food on the menu. Instead, they serve dishes made strictly from seasonal locally-grown ingredients, spiced with some true Lithuanian emotions, memories and habits. To top it off, the restaurant is about to release its own book—“Proud of Lithuania: A Fairy Tale by Sweet Root”. 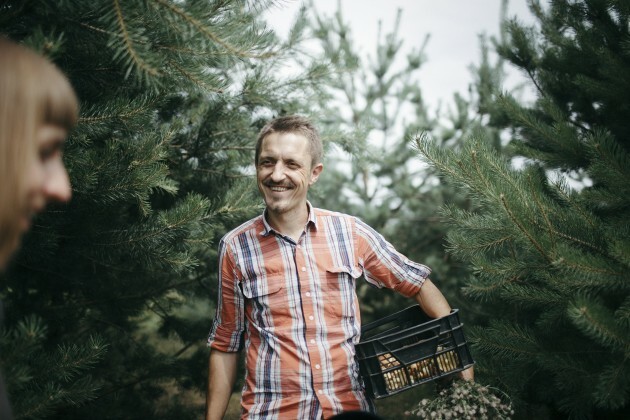 Margarita Knysh talked to the mastermind behind it and the owner of the restaurant, Sigitas Žemaitis, about the trends in the food industry, sustainability, and the search of the true spirit of Lithuania. Independent Nordic restaurant guide — the White Guide — has recently rated you No. 4 in the Baltic region. You also got the highest score in Lithuania. How does it feel to be the best restaurant in the country? Honestly — it does feel good. Even though, the most awarding and fulfilling moments of the day are when you see the eyes of guests, full of surprise, gratefulness and pride, it is of great importance to be recognized by the professionals of the industry. It does mean a lot for our young team and it keeps us striving for more and better in bringing the Lithuanian emotional cuisine to the next level as well as showcasing the best we have to the visitors of our country. In general, what impact do such international guides make on Lithuania and the culinary development of the region? The fact itself of international guides entering our region is already a positive sign. It gives a new dimension of restaurants’ evaluation, it fosters healthy and friendly competition, it does encourage to continue improving and learning. At the end of the day, it is a good thing for the guests of our country that care about food experience - they get some insights, reviews and structure of the restaurants scene. The best restaurants around the globe talk about local, seasonal food. You, too, present yourself as a restaurant that cooks only from seasonal and strictly local ingredients. Is this a tribute to fashion or does it show some major shifts in culinary traditions, techniques, and eating habits? What we are doing here is not something new under the sun, that is true. Local and seasonal food has been trending for some time already in all the parts of the world. However, I see it more as a natural turning point in food philosophy rather than a simple trend. The world got so global and accessible these days, lifestyle is becoming more and more similar across the globe, so there is a natural need to somehow differentiate yourself. And food becomes one of the major tools to show how beautiful, rich, and most importantly, unique your land is. To me, it’s like turning to the origin of the ingredients, the origin of the place. It is about adding emotions and stories to the plate. And I believe that a truly emotional Lithuanian cuisine can only be found here, in our country as well as other cuisines only in their lands of origin. What are some other trends in the restaurant business these days? To me, the most important trend is sustainability as this is the only way to go further and make a better world. 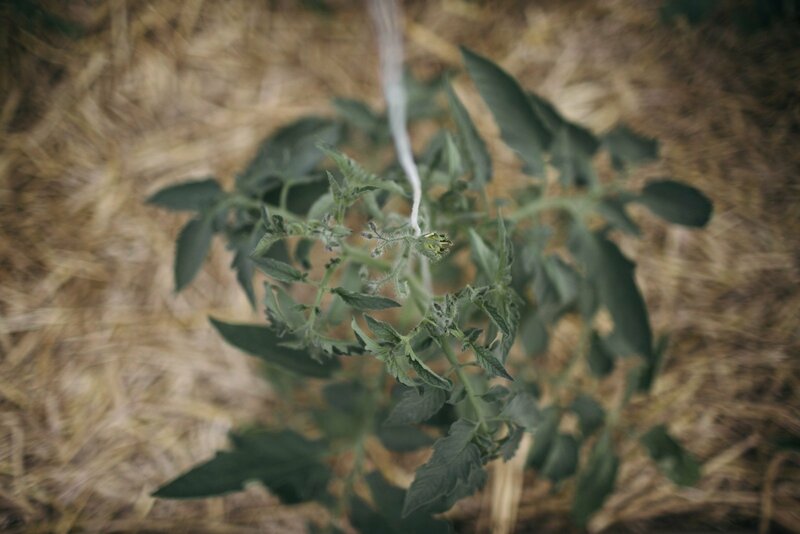 Sustainability is a huge topic that top chefs are talking about. It looks great on paper, but do you think it is possible for a restaurant to be sustainable on a daily basis, to implement zero waste policy? Definitely yes. At the first glance, it does look a difficult task to achieve. However, one needs to start somewhere. And the beginning is not that scary as it might look. We say, simply start with being seasonal. In everything you do - dress, work, celebrate, buy, and most importantly - eat. Start using the ingredient that grows around you in that particular moment in time. Start looking for the recipes for the specific celebration of the year. It is not hard. But in this way you gonna start supporting local producers, you gonna cut down on the cost of transportation of the off-season ingredients, etc. To my mind, it is a tiny and, at the same time, huge step towards sustainability. You claim that your inspiration is Lithuanian traditions and eating habits. However, at your restaurant you will not find “cepelinai” or other typical dishes, commonly understood as Lithuanian cuisine. So what is Lithuanian food for you? Well, the truth is that you do not really eat “cepelinai” or “pink soup” every day in a Lithuanian family. We have way more. And that is what we are trying to say - we need to appreciate what we have, but we also need to break the cliches and go deeper into our eating habits that we had some time ago. So the Lithuanian cuisine for me, first of all, is a cuisine of a lovely and distinct seasonality. Simple though rich in taste. Rustic and natural. Spiced with lot’s of wild ingredients - mushrooms, berries, herbs, game, fish.. It made me think that your food is very personal—you take your memories from childhood and your experience and turn it into a dish. Are you trying to change the perception of the Lithuanian cuisine? It’s not our mission to change the perception of Lithuanian cuisine. It’s more about a will to bring back respect to our ingredients and pride of gathering around the Lithuanian dinner table. Childhood memories and emotions do help to raise the feeling of pride of what we had and still have. You have a restaurant garden, don’t you? Is it more of a challenge or a privilege? Both. On one hand, we are privileged to have an opportunity to get closed to the ingredient and understand the whole long path until it reaches our tables. 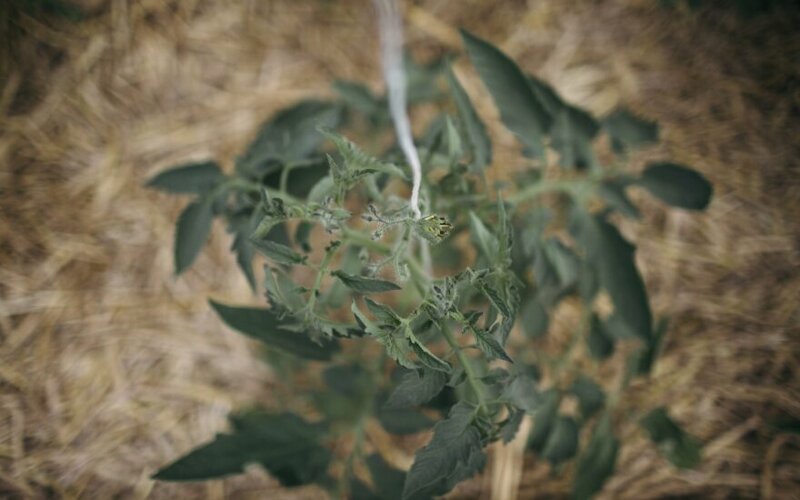 Let’s take a tomato - you start planning you tomato garden in January, get the seeds in February, put those in the soil in March, plant the tomato plants in May, take care of those through out summer and enjoy the ripe fruits at the end of August. On top of that it is a great feeling to get the produce from your garden early in the morning and bring it to the restaurant. You are sure that the ingredients were treated with respect, and that your dish already has a story and emotions attached. However, it is also a challenge as gardening takes a lot of time, hard work and patience. If you could change something in the daily eating habits and rituals here in Lithuania, what would it be? I would change nothing in our daily habits. This is the way we are and the way we are used to. But what I would like to change is our general attitude towards food. We need to spend a little bit more time at the table, take a bit more time to plan and choose the ingredients. And enjoy food more. Put more importance into it. Respect the plate, the ingredient and where it came from. You are launching a book called “Proud of Lithuania: A Fairy Tale by Sweet Root”. Could you tell more what this book is about? How was the idea born? What is the main source and history behind it? The whole idea of this project is to share our thoughts and spread the pride of living in our country. It is beautiful here and we should be proud of it. Naturally, the whole fairytale, as we call the book, is being written watching at our country through the lenses of food and eating traditions. Seasons, ingredients and their combinations, as well as true people behind those, are the main cornerstones of the book rather than the story of our restaurant alone. For now, it is all about stretching the boundaries at the restaurant — finding more heroes of our country that stand for a great local produce, remembering even more forgotten ingredients of the wild, strengthening the sustainability philosophy at the restaurants, and of course, creating an incredible experience-and-emotion based dining for our guests and food explorers.